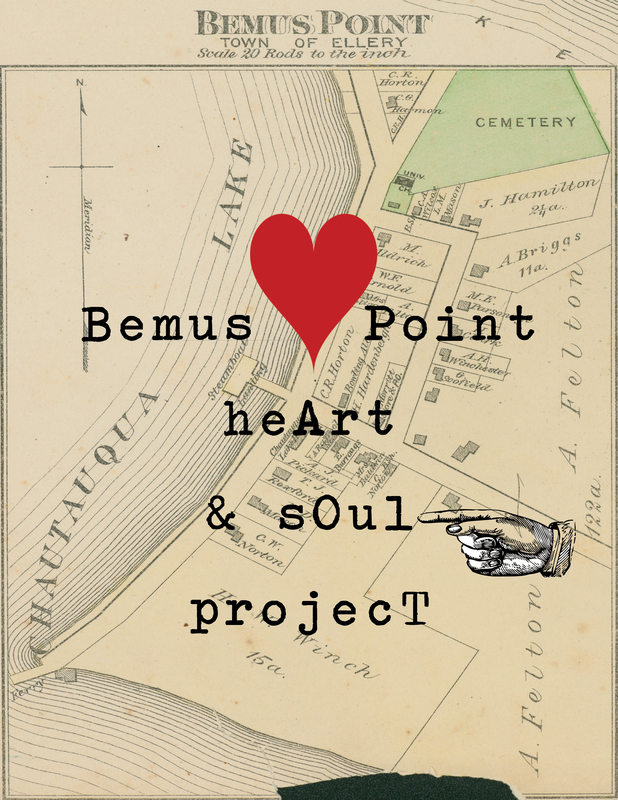 Bemus Point Heart and Soul is a community-building project supported by the Bemus Point Library. The project is about storytelling, and will weave stories shared by people of all backgrounds and ages with multimedia materials to present an interpretive picture of the rich history, culture, and identity of the Bemus Point community. The idea for the project stems from our conviction that the library is not only the village’s information hub, but that one of the key roles for libraries in the 21st century is to bring the communities of people together in shared, collaborative enterprises that restore a sense of community identity. It is our hope that by offering an opportunity for all village residents and visitors to tell the stories they feel define Bemus Point as a community, the character and heart and soul of the community will be revealed. The storytelling will focus on our relationship with Chautauqua Lake, as it is both a place of leisure and work. The lake is the anchor of the community, and a unique cultural and environmental resource. The project will engage a resident archivist and graphic designer to train a group of volunteers to gather and record stories and images (both historical and current) through a campaign during the summer of 2012. The stories will be featured here, on the Heart and Soul project website and ultimately will be transformed into a series of multimedia panels that tell the story of the community and its relationship to the lake. These panels will be displayed throughout the Bemus Point community in shops, restaurants, and community spaces. The panels will create a trail of memories and experiences and tie the community together through one cohesive artistic statement. For our project to a success, we need it to be an inclusive endeavor and wholeheartedly welcome any and all members of the community to participate.